At this moment it is estimated that globally 1 in 7 people are in need of some form of medical device in order to carry out their daily activities. In light of the fact that the global population is increasingly living longer, more sedentary lives, this number will most likely increase. This would lead most people to expect that the medical devices industry would be held to the highest standard, as these devices may often be expected to stay with a patient for the duration of their life. Recently however, this has appeared not to be the case with failures in devices such as spinal rods, pacemakers and hip implants, with these appearing to be at least partially caused by lack of regulation. It is important therefore to consider whether or not an increase in regulation of these devices would be a benefit. In order to consider whether greater regulation is needed, it is first of all important to consider if the lack of regulation itself is ethically right. By using the Categorical Imperatives laid out by Kant, we can evaluate whether the action is just. Firstly, is lacks regulation capable of being universalised? This is unlikely, as the vast majority of mass produced products in our lives are regulated for our safety, and reducing this would only lead to greater issues for humanity. Secondly, does the use of lacks regulation to push through a medical device quickly to improve profits treat humans as ends in of themselves, or simply means to an end? Again, this appears to show that lacks regulation cannot be considered as ethical, as it does not consider the persons affected by poor quality devices, only caring for the profit margin. And finally, would the act of universalising lacks regulation be agreed upon by all. This again is unlikely, as those affected by the devices would likely not want others hurt by this, and many would likely agree it wrong to not stringently regulate other products in our lives. This therefore shows that on all three imperatives lacks regulation fails, and therefore even the action of using this to produce medical devices cannot be considered ethical, leading to the conclusion that regulation should be increased. The Golden Rule is the principle of treating others, as one’s self would wish to be treated and simply defined as a simple and clear default position for moral decision-making. The golden rule being associated with christianity also overlaps in many religions and a vast majority of people aim to live by it. With the problem being, that many medical devices rush through the testing stage or even bypass totally under the grandfather law which exempts the medical device from meeting new legislation, due to the fact a similar device has already been approved. Therefore would the engineers and employees at these companies behind these medical devices want the product developed to be used on them? The extent of this cowboy rule is simply inconceivable, with a stent in the US being administered 7,632 times; there were 2,628 reports of problems – 1 in 3 stents implanted. Would you go under the knife at these odds? It is clear that the engineers would adopt more in-depth tests on the stent rather than risking their life, so expecting others to take the risk of injury and in many cases death clearly conflicts this golden rule of moral decision-making. Whilst medical devices do fail, these instances are rare compared to the number of lives saved by medical devices. Considering this, reduced regulation may help the largest number of people by increasing the rate of development of medical devices. As an example, MAGEC rods have received negative attention for failures in children with early onset scoliosis (EOS) because its use had not been approved in the US at the time it was first used in patients. However studies into the effectiveness of magnetic controlled growing rods (MCGR) compared to traditional growing rod (TGR) treatment shows that statistically, MCGR treatment was superior in terms of economic burden and overall satisfaction. 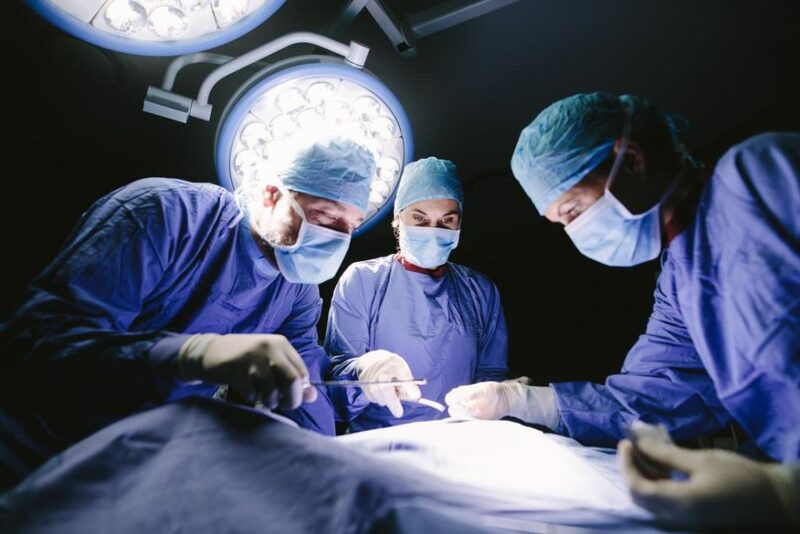 Therefore the Utilitarian ethical theory would favour the lack of regulation that allowed many patients to benefit from this product, which reduced the amount of invasive surgery required. Increasing the level of regulations inevitably will lead to an increase in cost due to the increase in testing and amount of time taken to get the product to market. A study run by Stanford University found that, in the US, the average cost related to getting premarket approval (PMA) for a class 3 device is $75 million, approximately 80% of total concept to market cost. As a result, businesses are either forced to reduce profit margins, leading to less funds available to be diverted towards R&D, or increase the price of their product. Furthermore, a less profitable industry will discourage investors from entering the market and make it almost impossible for new innovative startup companies to stay afloat. This reduction of funds being directed towards research could slow down development, causing potentially worse products to be developed in the long run. As the majority of patients benefit from these advances in technology, the increase in regulation cannot surely be in the favour of the many, therefore disagreeing with the theory of Utilitarianism. Time to market is an important consideration for medical devices. Medical device regulation by the FDA in the US is much more stringent than in the EU. As a result, EU patients were able to receive transcatheter aortic valve replacements (TAVR) four years earlier than in the US. Its success in the EU reducing mortality by 20% led to its approval in the US. In the study conducted by Stanford University, it was found that the majority (approximately 60%) of time taken to get a medical product to market was FDA dependant and that overall satisfaction in medtech industry executives was much lower in the more tightly regulated US than in the EU. The point you made about how reduced regulation can reduce the time to market for devices, and how this can potentially save lives. It would be interesting to look at the statistics for whether this is greater than the loss of lives due to less reliable devices. You stated that speeding devices through checks saves lives, would you agree with the same thing happening with medical drugs? This is an interesting point, and one that Americans need to be concerned over, as there has been a push to further deregulate medicine, and reduce the power of the FDA. This is a very complicated but interesting issue that you have covered here. It would be interesting to hear your thoughts on the reasons the US and the EU regulatory systems were founded, and how these tie into ethical frameworks. The European regulatory framework was introduced to standardised commercial rules and policies among European member states. Whereas the FDA was founded to protect the health of the public following safety concerns of medical devices in the 1970s. So how does this commerce vs. public safety line up with ethical frameworks? An interesting point that you bring up is that the FDA risk classification is similarity based, where the device is checked if it is “substantially equivalent” to another already FDA approved device, and if that is the case, the simplified 510(k) premarket submission can be used. Otherwise the device is automatically assigned as the highest risk Class III device, where it is must go through the Premarket Approval (PMA) procedure, unless it can be given a ‘de novo’ status, in which case it can do the 510(k) submission. So these “substantially equivalent” devices still need to pass regulation, which I’m not sure you made clear in your article, but the regulations they need to pass are just much less stringent than otherwise. I think an interesting point is that US system could disincentivise innovation due to the much simpler approval process of going through the 510(k) for “substantially equivalent” devices, thus promoting incremental improvements of devices and not of innovation. You mention the difference in time to market between the EU and the US regulatory systems, this alone is a very complicated topic that is a constant topic of review among both regulatory systems. There is a large variation in approval time for devices between both systems, primarily for the high-risk class devices. This is due to the stricter requirements for clinical studies during the PMA process in the US system. You mention one case where the faster time to market benefits the EU, whereas there are many cases where the US benefit from the more thorough FDA tests. The EU aims to ensure that devices are safe and that it perform to the manufacturers intended purpose (EUROPEAN COMMISSION. Medical Device Directive 98/79/EC. 1998. ), and that the benefits of the device outweigh the risks. Often evidence for this is gathered from animal testing or very limited clinical trials (U.S. FOOD AND DRUG ADMINISTRATION. Unsafe and Ineffective Devices Approved in the EU that were Not Approved in the US. . 2012. No. May, p. 16.). The FDA system aims to ensure these previous points are met, but it also ensures efficacy for all devices going through the PMA approval system (KRAMER, Daniel B, XU, Shuai, SC, M and KESSELHEIM, Aaron S. Regulation of Medical Devices in the United States and European Union. . 2012. ), the evidence for efficacy requires large studies which involve a comparison between patients treated with the medical device and a control group which represents the current standard of care. A 2010 study estimated the time for FDA approval was 31 months through the 510(k) process and 54 months through the PMA process, compared to 7 months and 11 months respectively for the EU system (J, Makower, A, Meer and L, Denend. FDA impact on US medical technology innovation: A survey of over 200 medical technology companies. Advanced Medical Technology Association. 2010. ), the time was measured from first contact with the regulatory authorities to the devices’ approval. Whereas a 2012 study reported that it took high risk devices 3 years longer to gain market approval through the FDA as opposed to the EU system (BASU, Saptarshi and HASSENPLUG, John. Patient Access to Medical Devices – A Comparison of U.S. and European Review Processes. TNEJoM [online]. 2012. Vol. 363, no. 1, p. 1–3. DOI 10.1056/NEJMp1002530). Although the figures vary among the studies, both agree that the FDA takes longer to approve high-risk devices. I personally think the EU system does not acquire sufficient clinical data for high risk class devices, and the system could benefit from more efficacy tests as is found in the FDA system, however a balance must be met between fostering innovation and efficacy. Currently the EU system gets faster access to new devices, but with greater chance of adverse effects. So it’s a very interesting topic with lots to discuss. An interesting point it that both the US and the EU are attempting to harmonise their regulatory frameworks in the face of device safety concerns and device failures. So what it the ethical benefit of one unified regulatory system? I’ll leave that one for you to answer. This a good topic to explore. It seems curious that regulation loopholes exist and that a light-touch seems to be taken. In your first section, did you discuss virtue ethics too? When you talk about: “the use of lacks regulation to push through a medical device quickly to improve profits” that implies the virtue at work there may be greed.